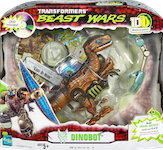 A warrior to his core, Dinobot lived only for honor won in combat. 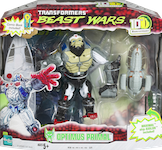 Disgusted by the greed and dishonesty of Megatron, and with a life debt owed to the Maximal leader, he joined Optimus Primal. 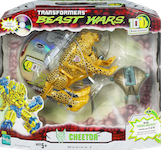 Though Dinobot was never fully trusted by some Maximals, his strong honor code and philosophical nature led him always to the path of victory. 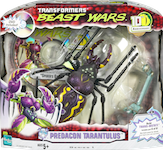 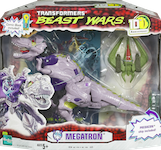 He was one of many to fall in the Beast Wars, sacrificing his life in a heroic battle against overwhelming Predacon attack. 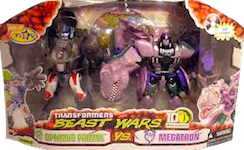 Beast Wars 10th Optimus Primal w/ Maximal Ship "Axalon"